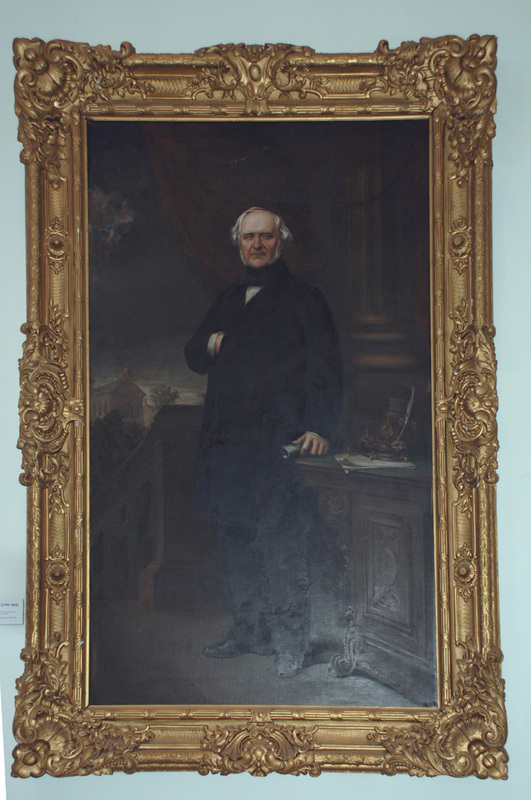 As the story goes, George Peabody was not impressed with the first frame that adorned his 1866 portrait. To remedy the situation, he had a much grander frame made. 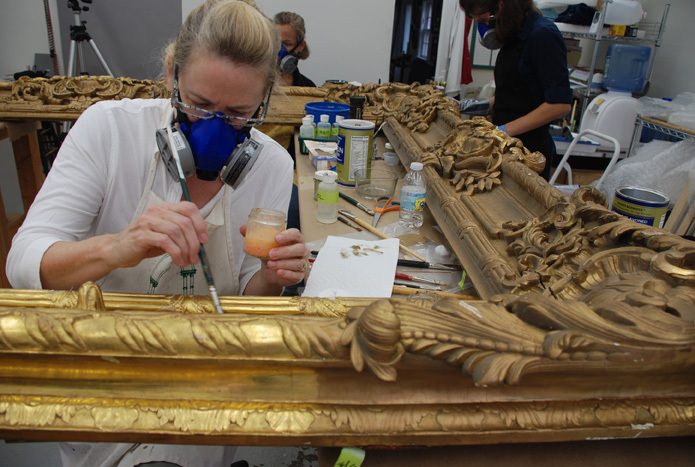 During the summer 2010 and well into 2011 we had the pleasure of working on the resulting hand-carved and gilded French frame. 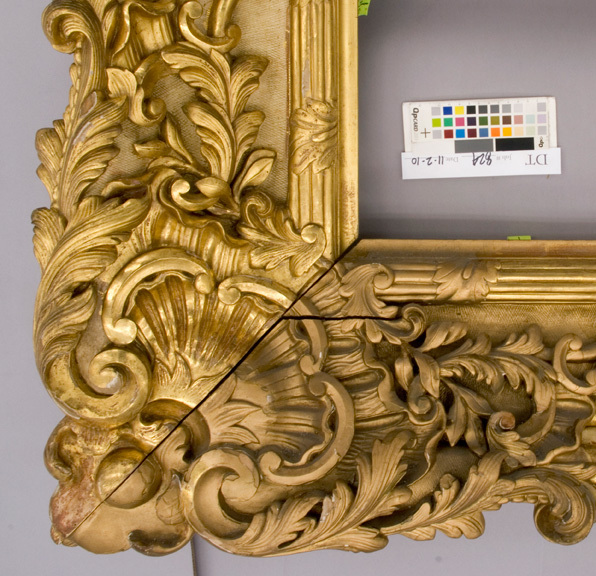 The original gilding of this 10-by-6.5-foot frame had been covered with bronze powder paint at some point, and the resulting surface was extremely dull and dark. 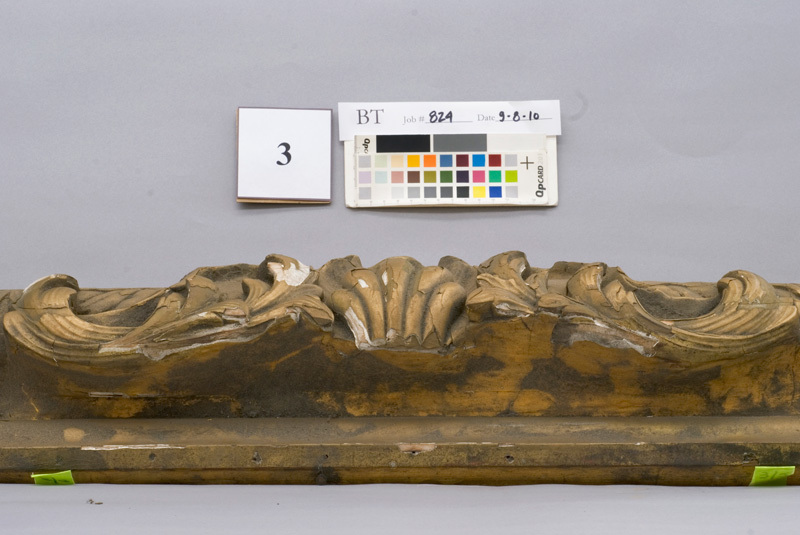 Though most of the ornament was intact, there were hundreds of areas of gesso loss and loose and lifting gesso, the plaster-like material that covers the wood in preparation for gilding. 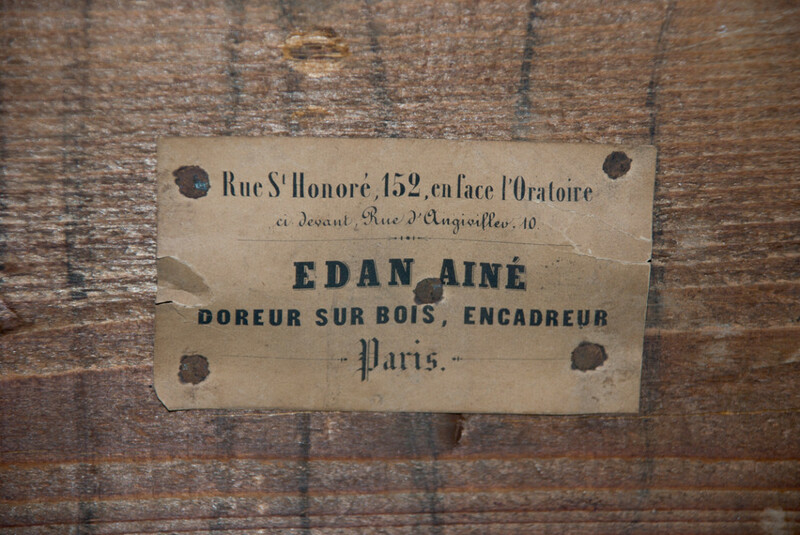 A distinguishing feature of gesso on this frame was the typically French use of “repareur” or recutting. With this technique, details that are not in the wood base are carved into the gesso. 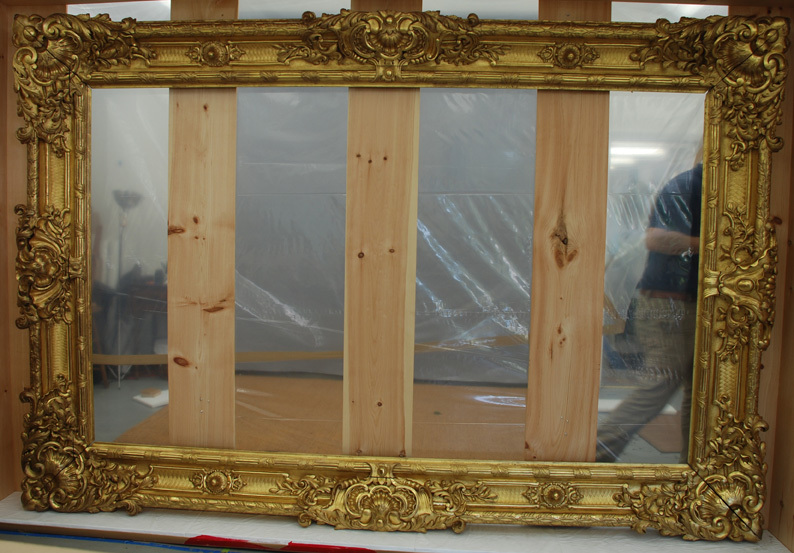 In the treatment of this frame we first secured the gesso layer where it was lifting from the carved wood base. 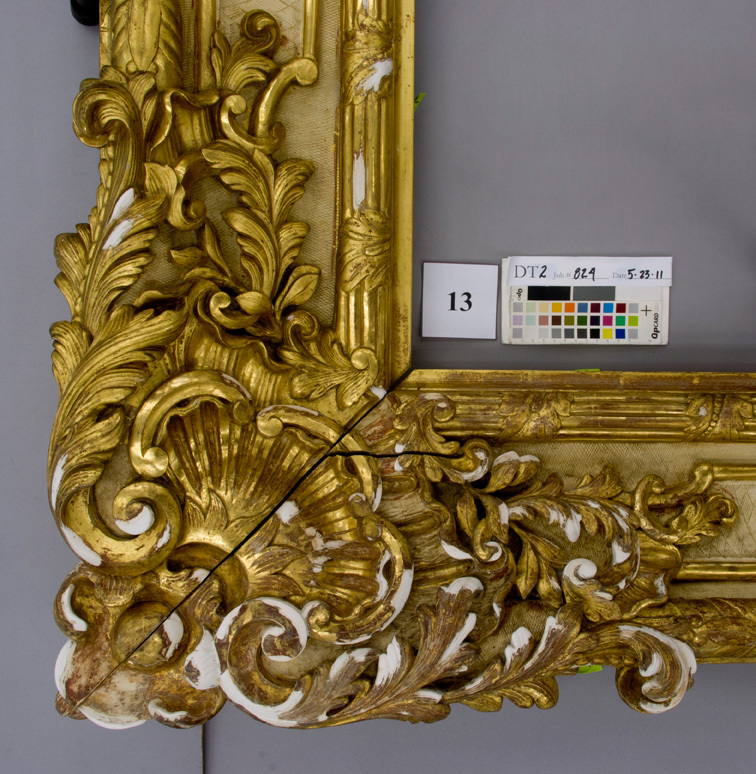 Once the surface was secure we could removed the bronze powder paint from the surface revealing the beautiful water gilding that was on 80% of the frame. The next task was to fill gesso losses and recut them to match the surround areas. To make sure that our fills would be detectable and reversible from the original, an X-ray dense isolating material was applied before filling the losses with gesso putty containing a UV fluorescent material. 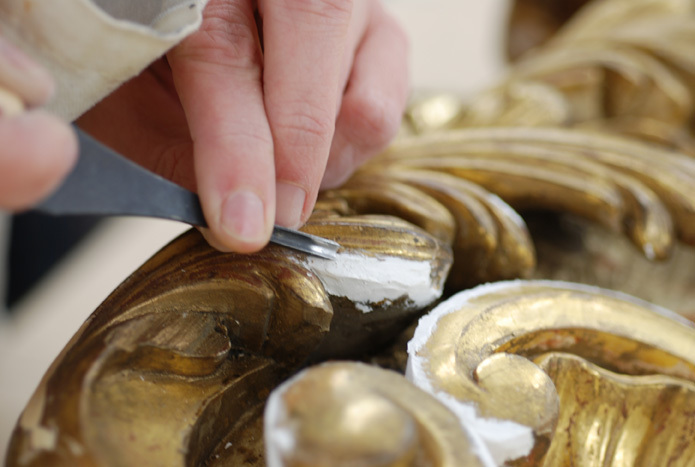 When recutting our gesso fills, we used a combination of traditional repareur tools and regular carving tools. We then gilded the fills and toned them to match the original surface. 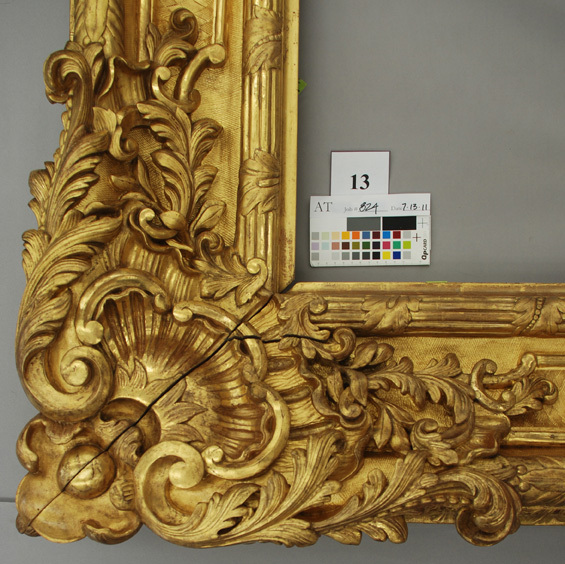 Recessed areas of the frame that had been oil gilt were also regilt and toned to match; since the original oil gilding was unavoidably removed in the process of removing the oil-based bronze powder paint. Because of the extent of damage to the surface and a set budget, some losses and fills were inpainted to match using a removable painting medium. 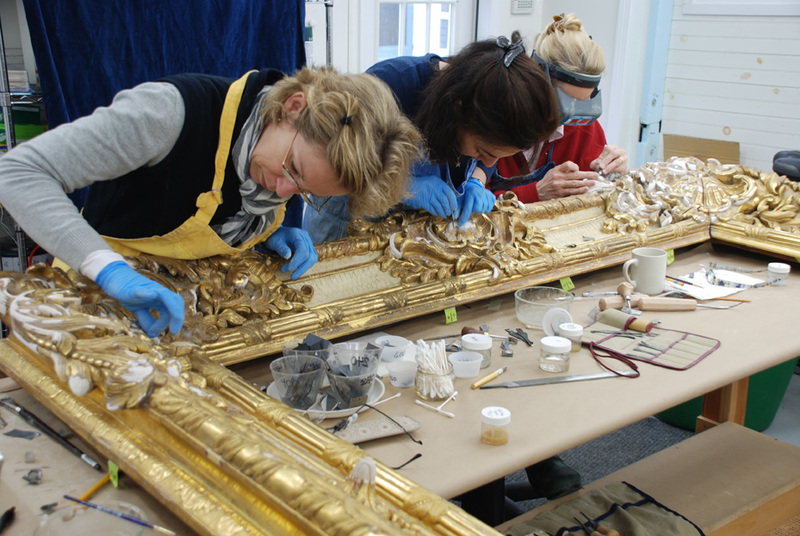 One of the challenges of this frame was that it was so large and heavy that it was not practical to set it upright to check its appearance vertically as we worked on it. The final full-view photo was not made until the frame was headed out the door in its crate.